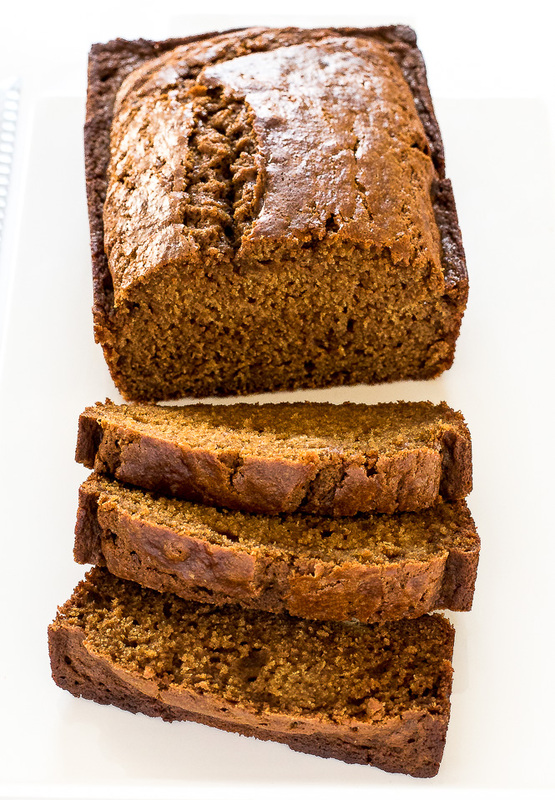 Soft and Moist Gingerbread Loaf perfectly spiced with ginger, cinnamon and cloves. 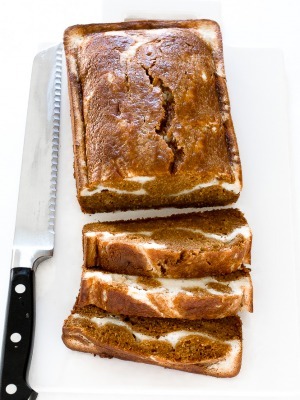 This Gingerbread Loaf is the perfect gift for the holidays! It is perfectly spiced with cinnamon, cloves, ginger and allspice. It is everything you love about the holidays! This bread will make your house smell amazing!! 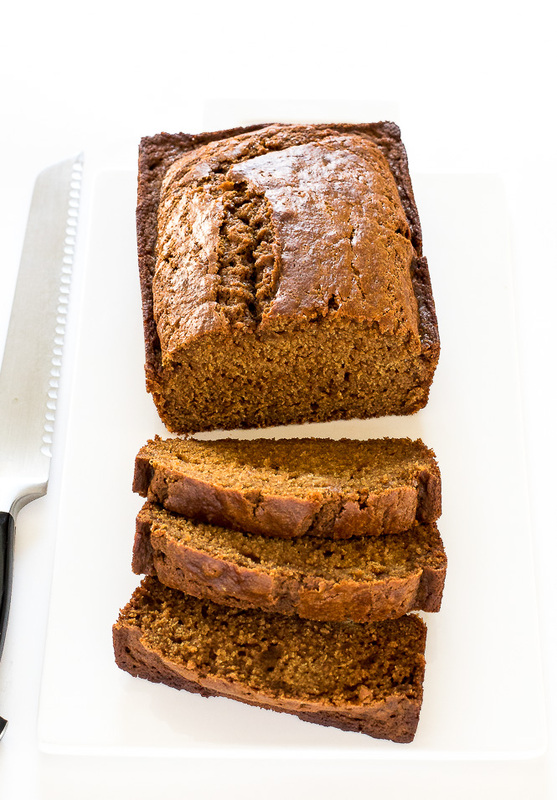 The bread is not too sweet, soft on the inside and crisp and crunchy on the corners. It also comes together in less than 15 minutes of prep time. It’s very important not to overmix this bread. The more it’s mixed the tougher it gets. 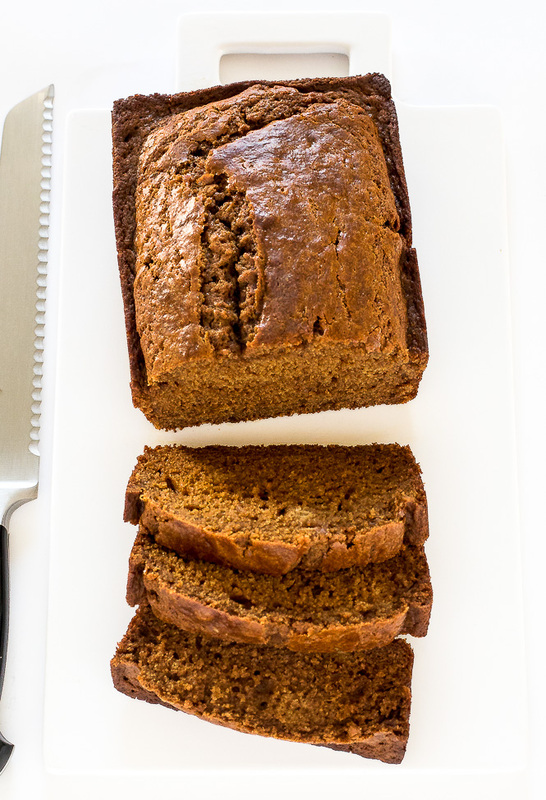 This Gingerbread Loaf is perfect for breakfast or dessert! Enjoy! Preheat the oven to 350 degrees. Grease a 9 x 5 loaf pan with non stick cooking spray. In a large bowl combine flour, baking soda, cinnamon, ginger, allspice, cloves and salt, set aside. In a stand mixer with the paddle attachment cream together the butter and sugar until light and fluffy, 2-3 minutes. Add in the molasses and vanilla. One at a time add the eggs and scrape down the sides of the bowl. Add the dry ingredients to the stand mixer alternately with the buttermilk, stirring just until blended after each addition. Spoon the batter into the prepared pan and bake for 45-50 minutes. Cool in the pan for 15 minutes then remove from the loaf pan to a cooling rack to cool completely. I thought you first said “NO STAND MIXER”. 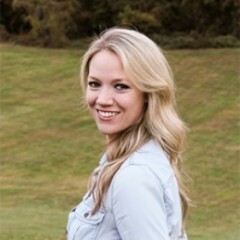 So sorry you are right! That was a typo! I corrected it. Thank you so much for pointing that out to me! 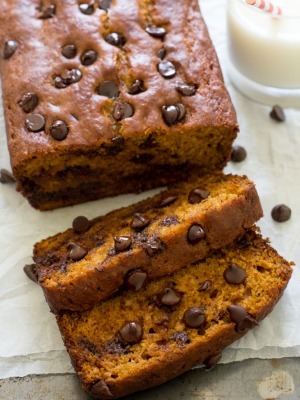 Can this recipe be made with a nut milk? I have a sensitivity to dairy.